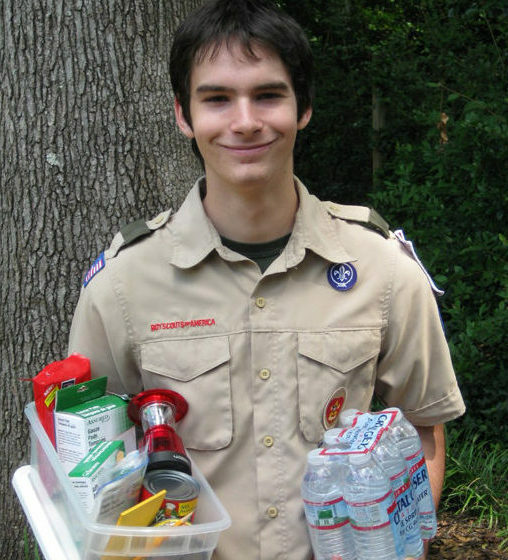 Thomas’s Eagle project consisted of emergency supply kits for 60 low-income Decatur senior citizens. The idea came from Ms. Lee Ann Harvey and Police Sergeant Ross who learned during the 2014 winter storms that some of Decatur’s seniors had no flashlights, batteries or other emergency supplies. Thomas and his crew built 60 kits in clear plastic shoeboxes with a portable lantern, extra batteries, first-aid kits, bottled water and emergency-related information and instructions. Six teams of Scouts delivered the kits and explained how to use the items. Thomas Wyatt earned his Eagle rank on January 6, 2015, 6 years and 8 months after joining Troop 175.